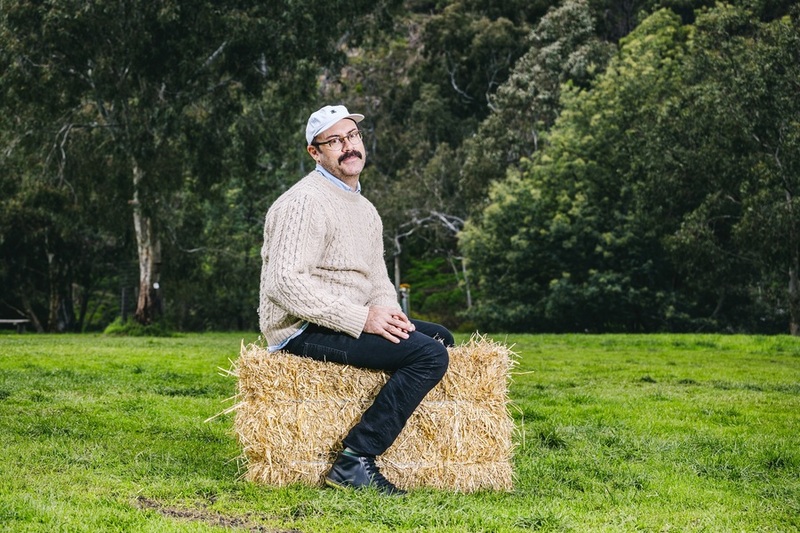 It’s hard to usefully convey the content of a Sam Simmons routine, and like most anarchic and confrontational comedians, any kind of synopsis will either devalue the experience or fail to accurately capture the insanity. Not that Simmons is completely deranged; he’ll casually sling out fragments of relatable standup – observational, even – before throwing an oblique curveball that’ll net nervous, confused half-laughs. Like Picasso having mastered realism before progressing to cubism, Simmons is bored of the usual schtick and likes to get weird for his own kicks. In this way, RADICAL WOMEN OF LATIN AMERICAN ART, 1960-1985 is the same chaotic soup we’ve come to expect from the moustachioed comic. His bizarre sound cues, inexplicable props and music choices aside, Simmons takes demonic, irate pleasure in actively losing this Friday night crowd only to bashfully win us back again. He’ll skirt (or outright confront) problematic topics, and it’s tricky to say if he’s testing the waters or just messing with us. Calling the show structured would be generous, but there’s a surprising (if shabby) cohesion to the material – and despite his apparent lunacy the title is legitimately relevant. As a comedian, Simmons is comfortably and refreshingly detached from the mores of what a man and a mic should do in front of an audience, even if the result makes some bristle in perplexity.